Are Brands Really Ready for Immigration to be Curbed? 2015 marked the 50-year anniversary of an important event that put the United States on a new demographic path: the end of the postwar baby boom. In fact, the U.S. total fertility rate (TFR) is currently below “replacement level,” the level that is needed for couples to replace themselves in the population. Despite low birth rates, the U.S. population continues to grow, mainly because of the large numbers of young immigrants who arrive in the United States each year, providing a much needed source of demand for America’s products and services. The modern immigration wave from Asia provides one of the few bright spots for marketers looking for growth. These are not the low-wage, low-skilled laborers who came a century ago. Today’s Asian Americans are the highest-income, best-educated and fastest-growing racial group in the United States. In fact, since 2009 Asians have overtaken Hispanics as the fastest growing immigrant population in the country. Today, Asian Americans are not only a significant force in numbers in states like Hawaii, California, Washington, New Jersey, and New York, but they are also growing at astonishing rates in “new destinations” for immigration throughout the American South, Midwest, and Southwest. Empowered and culture-driven shoppers, who over-index on a wide range of products and services. Younger than the rest of the population, they are trendsetters and tastemakers across a broad range of categories, from food and beverage to beauty products. In their prime, they are starting families, making financial plans and establishing long-term brand relationships. Expressive and inclusive, which very often them to simultaneously maintain their cultural heritage and see themselves as part of the new mainstream, allowing them to mix and match endless choices and products to suit their effortless duality in lifestyles and tastes. Connected and mobile savvy, they use their smartphones and other devices at much higher rates and more intensely than their non-multicultural counterparts. In their search and buying of these products and services, they seek out trusted partners. That may include brands that are active in their home countries; brands that have local field or sales organizations that understand them and cater to their language needs; and brands that take the time to educate and provide guidance on the unfamiliar such as the home buying process, or retirement planning. Based on a survey by APIAVote, Asian Americans rely on in-language media such as print, TV and digital channels for information. For marketers looking to reach this audience, there are many established media and community-based channels available to them. Leveraging these channels can deliver gains quickly and efficiently. 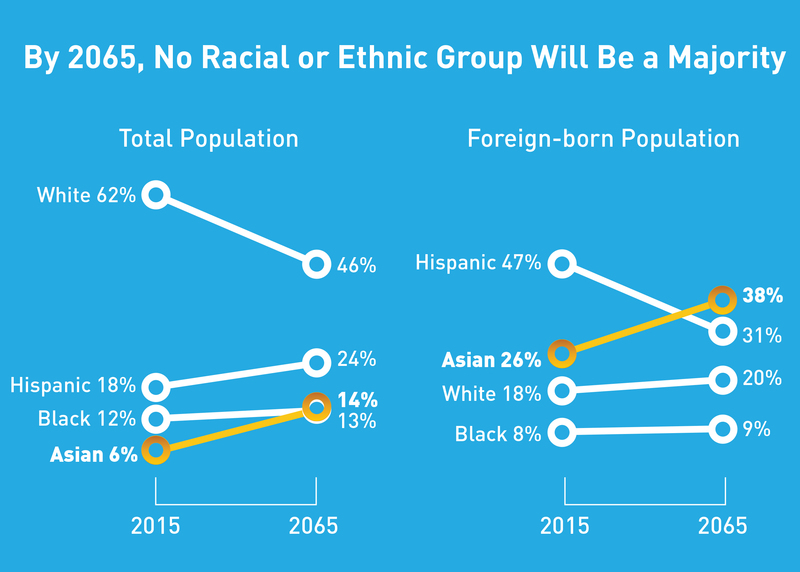 The fastest growing immigrant group that is Asian Americans provides a ready source of sustained growth, that is good news for brands, and for the country.